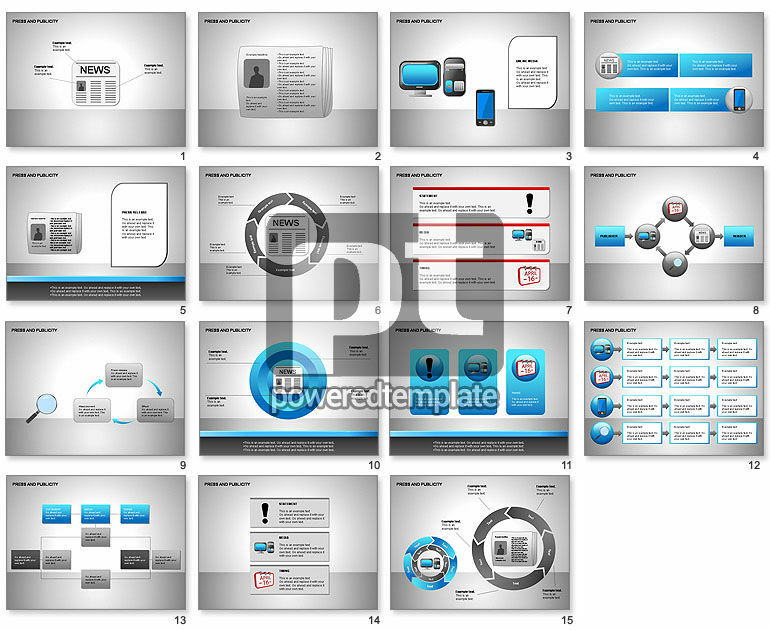 These presentation slides 26102 are complete compatible with Google Slides. Simple download PPTX and open the template in Google Slides. Great template for press releases, newspaper overviews, politic and economic news, company presentations, etc.